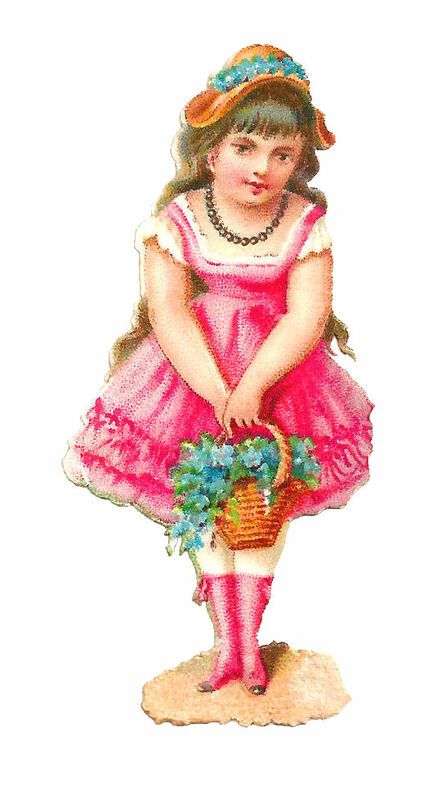 This is a pretty little Victorian scrap of a girl wearing a pink dress, holding a basket of blue flowers. I love the pink boots! 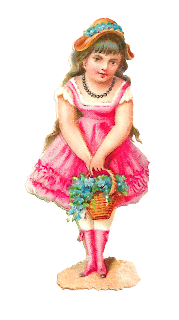 How adorable that the dress and boots match. I've given you both the .jpg and .png files of this image. I hope you enjoy!